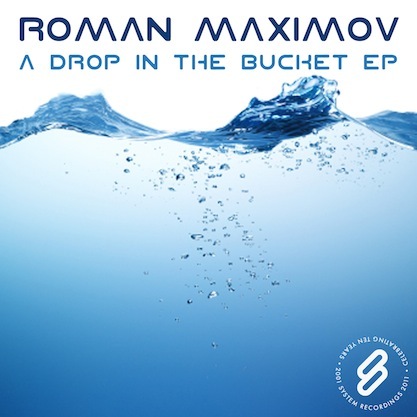 System Recordings News: Roman Maximov 'A Drop In The Bucket' - Out Now! Roman Maximov 'A Drop In The Bucket' - Out Now! April 21, 2011 - ROMAN MAXIMOV gets large with 3 finely-crafted, progressive tech tunes for the 'A DROP IN THE BUCKET EP'. Featuring "A DROP IN THE BUCKET", "MOST LIKELY", and "THE GREY CLOUDS".